One of today’s global key trends is the industrial production of artisan-style bakery products. Lallemand’s knowledge and expertise in aromatic yeasts, cultures and enzyme application together with VERIPAN’s proprietary fermentation technology will create strong synergies between both companies. Making artisan-style breads in fast industrial processes is a challenge for the bakery industry. This is mainly due to the loss of flavor, but also influenced by increased cost and time pressure. The combined experience and expertise of both companies will develop integrated solutions for such challenges. As a result, we will offer industrial bakeries with customized products with the desired flavor profile and differentiation. “The partnership with Lallemand will allow us to develop ready-to-use solutions based on our PANATURA technology. We will be able to produce premium bakery ingredients with improved flavor, freshness and shelf-life”, said Meiert J. Grootes CEO of VERIPAN AG. “Lallemand and VERIPAN’s partnership will prove to be valuable for our current and future customers as we advance our FLORAPAN range through greater insight and focus,” said Mario Pires Business Unit Director Lallemand Baking Solutions. LALLEMAND Inc., a leading developer, producer and marketer of yeasts, bacteria and sourdough cultures is pleased to announce our strategic partnership with VERIPAN AG of Switzerland, effective from July 15, 2018. VERIPAN, founded in 1992, is a Swiss food development company for the bakery industry and has the know-how to capitalize on global market developments. 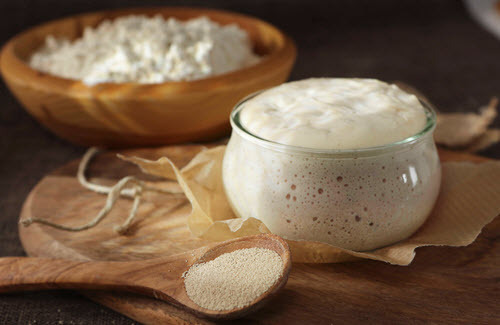 Veripan’s most well-known ingredient is PANATURA, a unique functional sourdough based on their proprietary fermentation technology.